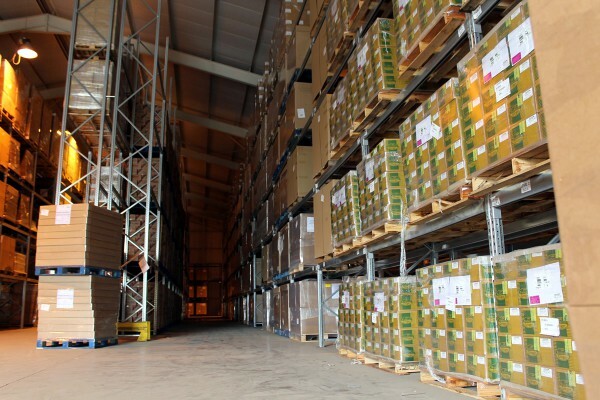 McPherson can also offer a range of warehousing services. We have a series of 7 warehouses based at our 22 acre site in Almondbank near Perth. The warehouses offer around 21,000 square feet of ambient storage each, and we also have available extensive parking and outside storage. The site is fully manned throughout the day and forklift services are available. The site is ideally placed beside the M90 with superb access to both the Central belt of Scotland and the A9 trunk to the North. As we have mentioned the warehouses are ideally placed to facilitate a Part Loads Collection Service, given that we can offer backload rates for journeys going north of Perth. The mix of quality storage, at an excellent location, with qualified storage handlers and the haulage resources to compliment these services is a powerful combination. Please call John Gow on 0151 486 0004 to see if we can solve you storage and logistics needs.